We are pleased to announce the release of our latest album! ‘Hope’ will be released internationally on 26th May. We performed eight songs from the album at our concert in Ely Cathedral on 29th April. The release date for CDs in the US is 16th June, with the album available for download from 26th May. Pre-orders will be available prior to the release dates. 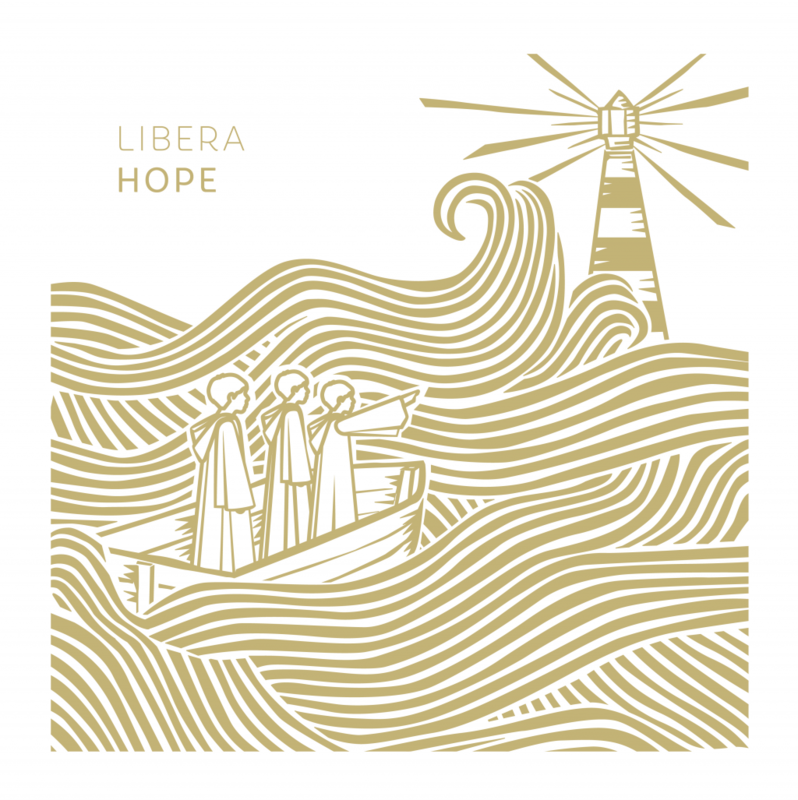 In Japan a slightly different version of ‘Hope’ will be released on 10th May – and at the same time a special edition will be available which includes a DVD with two new music videos – for Smile and for Salve Regina. I’m so excited and I just love the album artwork, it’s wonderful! Three boys at sea, the waves roaring, but they stand unafraid for they have the faith of a mustard seed that they should move mountains and that whatever calamity stands before them, they will prevail with the humility of the Lord Jesus Christ. The lighthouse in the distance shines bright, reminding those on the path of Christ of that blessed hope that awaits them. Great news, and hopefully the digital version (iTunes and perhaps hi-res downloads?) will follow shortly after the concert. Also the cover art is infinitely better than the Japanese release ones, a nod to Thom Yorke’s 2006 LP The Eraser. Would pay more for a vinyl of this. Awesome! Can’t wait! Adding to my Calendar now! This is wonderful, and I was hoping for this too! I’m pleased your releasing a new album and the name and artwork go arm in arm. I cannot wait for it to be released. I’m always watching your songs on utube and I love them. you should have it in your shop now as a pre-order I was going to pre-order it? The album will be available in our shop ahead of the official release dates, and we plan to take pre-orders of it. When can I purchase the new album on iTunes store? It will be sent in Spain? Yes we expect to be able to send it all over the world. What about the dvd that is supposed to come with it? With your last studio album release in 2011, the announcement not too long ago, this is very welcome news.. Well, maybe except for your “Asia first” policy the past few years.. Thanks for your support Jeremy. Sorry about the overseas cost – but unfortunately we have no control over shipping costs. Hey honestly its no big deal. Back when I was 16 – 18 I did not have the money to support libera. How ever now that I am older and have income I do my best to pay back for all the cd’s I have downloaded on torrent sites. I have just about bought every cd and more I have downloaded in the past. I feel zero regret for doing it. I am so glad to finally see a studio album that is not holiday music. I have been waiting so long for this. I get this apeals to less of a auidence but this is why I love you guys even though my self am not cathlic and that is what the majority of the music tends to be. I just respect the talent and effort the kids put into it as well as the directors! Everyone keep up the excelent work can not wait to see whats on the cd. Fav song so far is Angel! I feel supporting a niche market music is something that is great to do. For the record I am west coast usa. I have all of Libera’s CDs and DVDs (starting with “Angel Voices”, the arrangements on the cds from then on were much improved, even spectacular) but there is no way I would pay 35CAD (20 pounds) for a CD…will wait a few years…no offence. and I really hope you will continue to put choir photos on covers because this “drawing” does not inspire me at all…but that’s just me I guess; you are trying different things; I also noticed you have a new record label: “Invisible Hands Music” or is it just a new name? and to Jeremy, I would respectfully say that Libera’s Christmas cds-dvds are classics I cherish and look forward for more; the dvd “Christma in Ireland” is nothing less than Masterful! Hey I fully understand that haha. I totally loved the holiday music for what it was. Heck I own both dvd’s and the ireland cd haha. They were great. Don’t get me wrong when I say this. I love to have live dvd’s I just wish one of them wasn’t a holiday dvd. How ever that is ok I am stil glad they did 2 dvds! Just realized how bad my quote was on that last comment talking about the dvd’s…. Ignore that part of my message. I am not even sure why I put that haha. Dreaming Of Home is absolutely beautiful. Robert Prizeman continues to blend instrument and voice. I am only sorry for those boys, which will never have the chance to be a member of Libera. I am sure, at their ages, they do not realize the effect their music can have on others. Bless the choir and Robert…and all those that quietly work in the background to give us this music. I will see you in Houston. Our local “audiophile” society uses the “Hope” LP (not the CD which does not have the same ability to reproduce the sound of this choir) as a demonstration disc for how great a sound system can reproduce the exact placement and separation of voices of a massed choir. Thanks to the superb Abbey Road mastering and LP disc cutting engineer Miles Showell, this LP excels where no other choral or massed choral/orchestral LP has ever done. 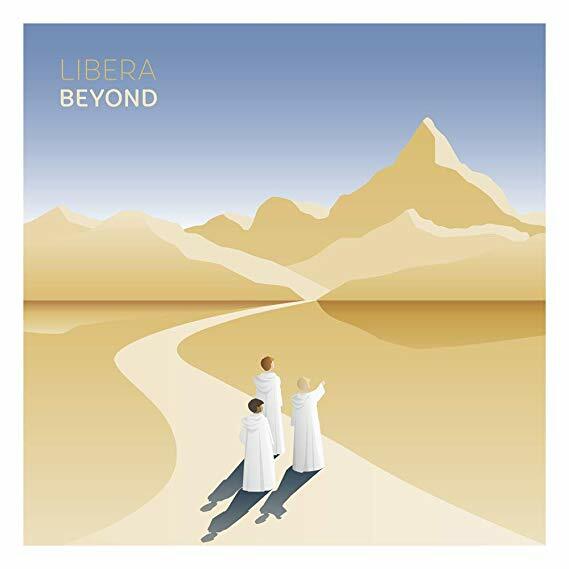 Get it while you still can (Libera and St. Phillips material has a very nasty habit of going out-of-print). One big complaint though…. THE ALBUM SHOULD HAVE BEEN A DOUBLE LP SO ALL 15 SONGS FROM THE U.K. AND JAPANESE SETS COULD HAVE BEEN INCLUDED!!!! !